UMNO Elections Closely Watched by PBB too. The focus after the Hari Raya Celebrations will turn to two(2) BN component parties. UMNO will hold their elections on October 5th 2013. Any movements will definitely be closely watched by all as the outcome of the UMNO elections affects the leadership of the country. 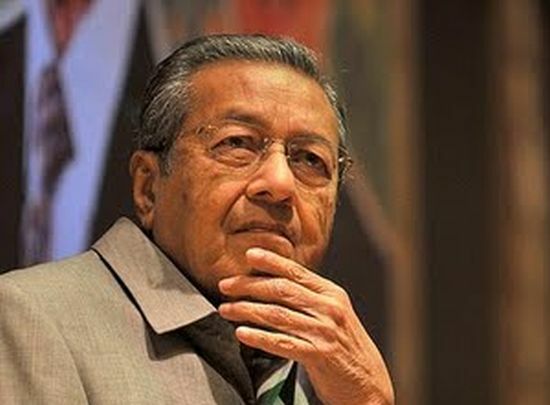 The Tiff between Tun Mahathir and Tun Abdullah is being monitored very closely. There are also clear indications that camps are already mushrooming. Many in the social media blogs, mass-media fraternity and bloggers aligned to their respective camps are already “ON TOP” of these developments. Many in the “UMNO family” will be divided as to their choices of candidates and though the fight might be very bitter it might even caused ‘some permanent damage“. It is only normal to have elections in a democratic process but once the elections are over everyone must be able to accept the lists of elected officials and close ranks. It’s of course easier said than done. The UMNO elections will also have some effect on the local based BN strongest component party PBB. The youth elections will be again be the centre of attention as there are nearly more than half over 45’s who are ineligible to be part of the movement. Even the incumbent Youth Chief Fadillah Yusof who is now the Minister of Works is still undecided on his posts. The Wanita Wing will see some changes at the helm as it will only be relevant to have an assemblyman or an MP to helm the wing. This might not go down very well with the current Wanita Chief former Senator Empiang who led the wing very well and have succeeded in grooming able leaders in Rohani, Nancy and Fatimah who are all full State and Federal Ministers. The rantings, divisional meetings will go full swing to pick the leaders who will be the next echelon leaders to lead the party way beyond 2020 if their paths are politically destined. The Top Leadership and Supreme Council seats might not see much changes but they will be a lot of horse-trading. It’s a clear signal from many YBs when we went on the ground that they will see that the No.1 and No.2 posts be maintain at status quo. It does mean that the President of PBB Taib Mahmud and current Chief Minister of Sarawak will have unanimous support from all the 71 divisions to lead them for another 3 years. When and What the party PBB has decided it will be foolhardy for anyone to signal even the slightest hint that they are about to take over. The Party President has indicated that his successor is not only the Chief Minister for one race but for all races in Sarawak. This will be the yardstick which not only UMNO leaders have to toe the line but all who are within the FRAMEWORK OF THE STATE ADMININISTRATION. The ball has been rolled by some UMNO face bookers and bloggers aligned to certain leaders and they will use this social media machinery to their fullest advantage. Those who think that their grassroots are strong without using this technology have something coming their way. PBB leaders will also not want to be caught out without making use of the ready made machinery and they too are promoting themselves to be seen,heard and most of all acceptable by the ones who matters most. UMNO elections will have a determining factor on PBB and though some say no way but truthfully they know its a FACT.